One of the advantages I've noticed of being an illustrator, is that just when life gets a little bit tedious, a parcel arrives in the mail. They don't always contain anything particularly exciting, but every so often a package arrives with an advanced copy of a new book. A few weeks ago, a nicely wrapped parcel was delivered to my house. I found it propped up on the commode that stands on the front porch. (I haven't quite worked out where one puts a commode nowadays). 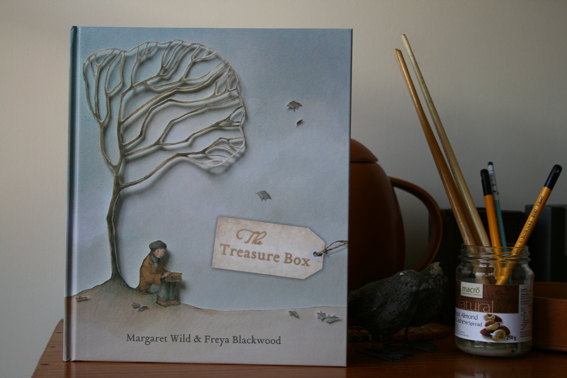 And the parcel contained The Treasure Box, a story written by Margaret Wild that I spent the first half of this year working on. 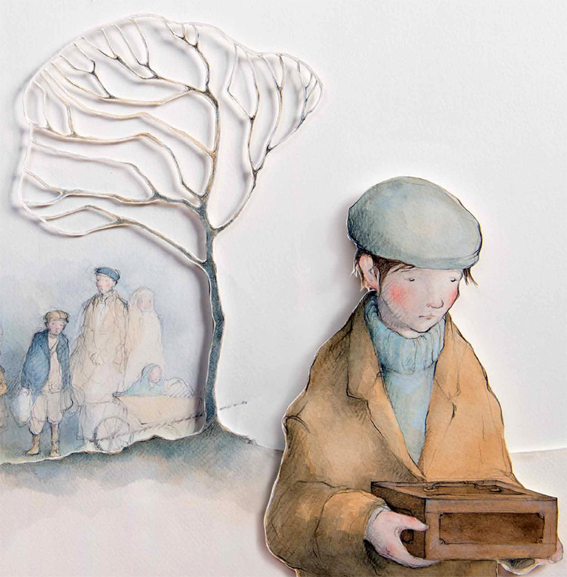 It wasn't the easiest book I've worked on, mostly because I decided to create each illustration in layers, cut out and stuck one upon the other like a paper diorama. This meant the illustrations had to be lit and photographed rather than scanned. There were many technical learning curves, much stress and numerous breakdowns. But the final result is rather lovely, thanks to those who helped with the photography, digital editing and design. The Treasure Box, published by Viking is due out in February 2013. For more information about the book click here. It's been a little while since I've posted any news. Really I've been waiting for something to actually happen and this week seems to be the week of happenings. Quite out of the blue Maudie & Bear has been shortlisted for in the NSW Premier's Literary Awards for the Patricia Wrightson Award. The other books shortlisted for this award are Crow Country, Taj and the Great Camel Trek, For All Creatures, Angel Creek and Bungawitta. Click here for a list of all those nominated in the various categories. Maudie and Bear are also making an appearance in New York at present. 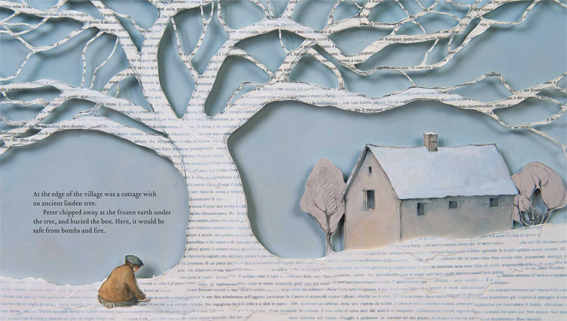 Published by Putnam in the US, Maudie & Bear was selected for The Original Art, an annual exhibition showcasing the year's best children's books. 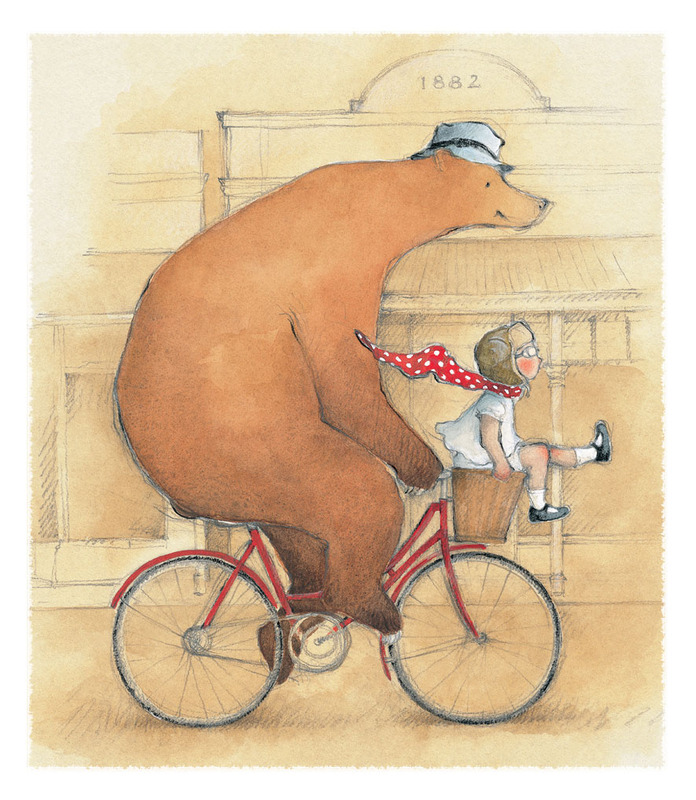 It makes me giggle to think of Bear riding his bicycle with Maudie in the basket all the way over there... while I sit and work. Actually I feel rather envious. Maudie and Bear are currently cycling through the United States, Harry and Hopper bounced through last year but I've never been to New York. But I'm ever so proud of them! Here's some more information about the exhibition, which is open until 22nd December and then touring through the US the following year.